For today’s episode, I chatted with the Chris-half of Jen & Chris Creed Photography. Jen & Chris are a laid-back wedding photography duo based here in Nashville that loves documenting real moments for joyful couples. Chris also shares my love of traveling, thinking deeply about the big questions in life and fine bourbon. So, of course, I had to have him on the show. 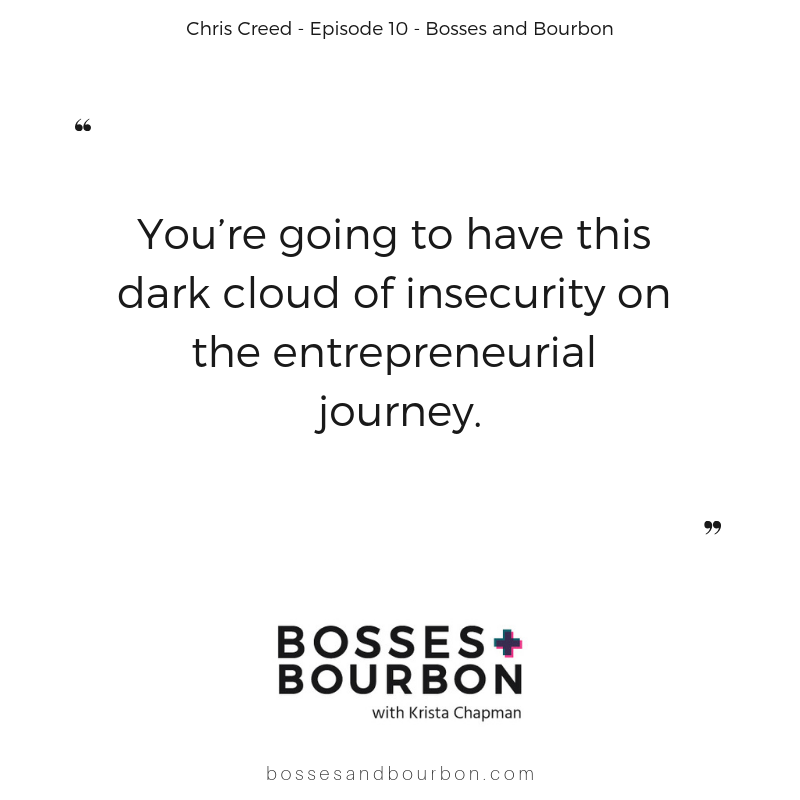 Chris and I talked through a lot of things – not being taught to be an entrepreneur, getting caught in FOMO (Fear of Missing Out), finding routines and tactics that support you, dealing with mindset hurdles, having difficult conversations. Be sure to listen to the very end of the episode where I share a new tip from Brene Brown I recently learned related to hard conversations or ‘rumbles’ as she calls them. Chris also talks about the advice he’d give his younger self about define success according to you. You got to keep the real stuff in perspective and understand your business is only part of the journey. You can get in touch with Chris at chris@jenandchriscreed.com and learn more about their photography at their website. Krista Chapman of Path & Compass, marketing & strategist to the wedding & event industry works with a lot of smart, hard-working bosses in her consulting work. Entrepreneurs that you’ve never heard of that are rocking out their independent wedding & event businesses. Owner-operators that have created solutions and strategies that WORK. 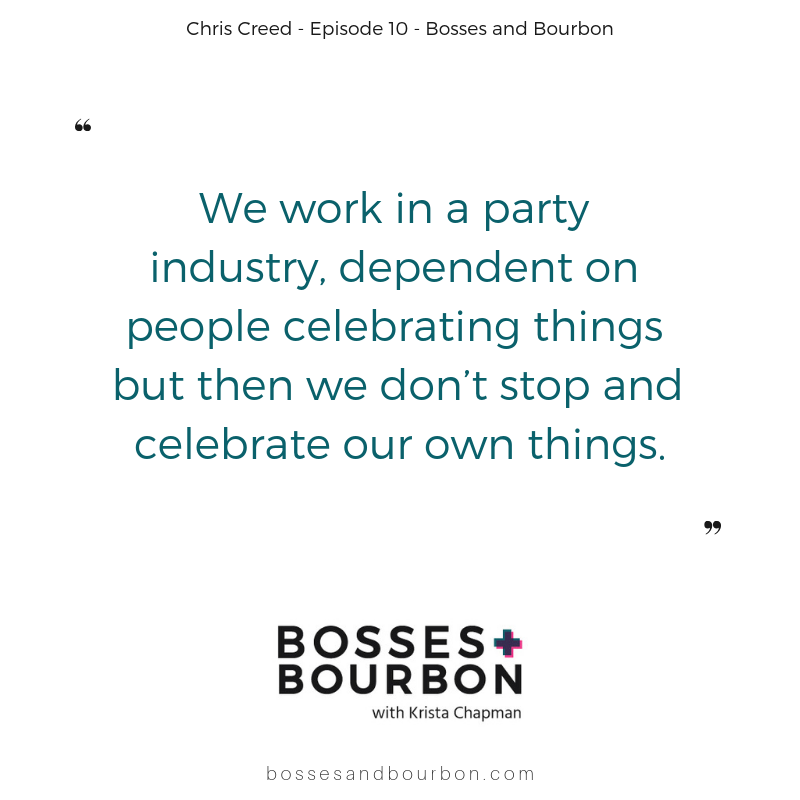 Listen to these candid conversations where Krista and her guest boss, talk shop (maybe over bourbon) and get real about running a successful business.